Scrubbing floors is a pain. If there’s one thing that I hate more than doing the dishes it is mopping. I’m sure you can imagine how excited I was when I discovered that I could get my hands on a robotic mop cleaner. A robot mop makes floor cleaning easier and convenient. The robot will take most of this task off your hands but it won’t completely replace your handheld mop when it comes to dealing with stubborn, sticky messes that might still need a bit of elbow grease. But for the majority of the work, you can rely on a robot mop to tick off most of the floor mopping and save you heaps of time. There is a huge choice of robot mops with different functionalities and abilities, you can get one that focuses solely on mopping or a combination unit that mops and vacuums. How do you choose the best robot mop for your house cleaning requirements? I’ve summarised this helpful guide and ranked the machines to give you a clearer picture of the ideal robot to suit your needs. Our guide will take you through the important features of a robot mop and will also address the questions and queries that might come up when buying one. Once you’ve read through this guide you can confidently choose the perfect robot from our shortlist of top-ranking autonomous cleaners. Finding the best robot mop from the countless choices out there can seem like a difficult task. Some machines are mop-only, but multi-functional machines can mop and vacuum and cost slightly more money. Let’s walk through the different types of multi-functional mopping vacuums that you can get. Some robot mops are fitted with water tanks and some come without one. Machines without a water tank are specifically for damp or dry mopping. 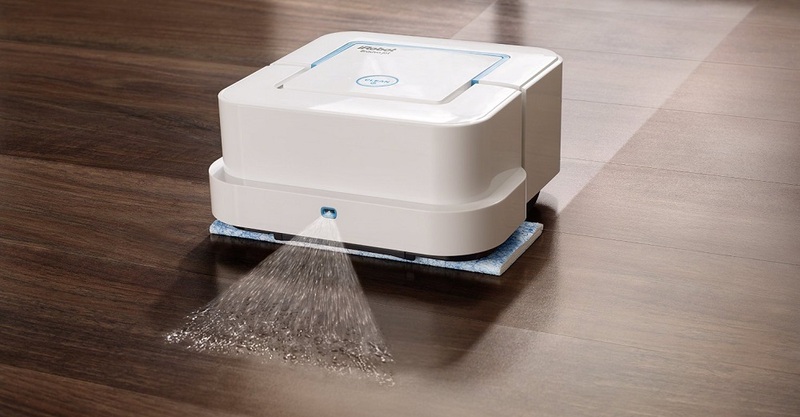 If you want to damp mop with a tankless robot you’ll need to manually damp the pad various times during the cleaning session for the mop to wipe efficiently. Robots without water tanks are not as effective as machines with tanks. It might be worth paying a bit extra for a robot with a water tank. A robot vacuum with a mopping feature is equipped with a dirt bin to collect mess from vacuuming and a separate water tank for mopping. The majority of multifunctional robots can only carry either the dirt bin or water tank, they can’t vacuum and mop at the same time. When mopping is required you will need to remove the dirt bin, slot in the water tank and attach a mopping pad at the base of the unit, all of which can be done easily. Some robots will gradually deliver small amounts of water to the pad to keep it soaked throughout the cleaning session. Other robots will squirt water directly onto the floor in front of the machine so that it mops as it passes through. 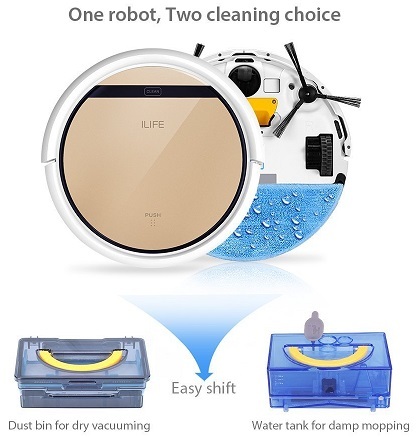 If you want the convenience of automated vacuuming and mopping combined in one machine then you should buy a multi-functional robot mop equipped with a water tank. Robot cleaners are not entirely independent machines although some are cleverer than their counterparts. The majority will not completely take over from a thorough manual mop, but they are a great way of keeping the house clean. Most robot vacuums and mops can work on their own, but can sometimes require a bit of help. Cheap robots are usually equipped with generic sensors that will help the robot avoid dropping downstairs but aren’t clever enough to avoid things like electric cables or stray clothing. Opt for a machine with smart sensors that can steer clear of obstacles and get out of tight areas without your help. You will need to empty and replenish the water tank. Robot mops with water tanks need to be refilled several times during cleaning depending on the size of the area that needs mopping. You have to manually swap out the dirt bin for the water tank when you need the multi-function robot to change from vacuuming to mopping and vice versa. Robots generally can’t automatically switch between mopping and vacuuming by themselves. Now that you know what’s involved when buying a robot mop let’s look at our favourite ones out of the bunch. iRobot was one of the first manufacturers of domestic robot cleaners and know a thing or two about how to build some of the best autonomous robots mops. 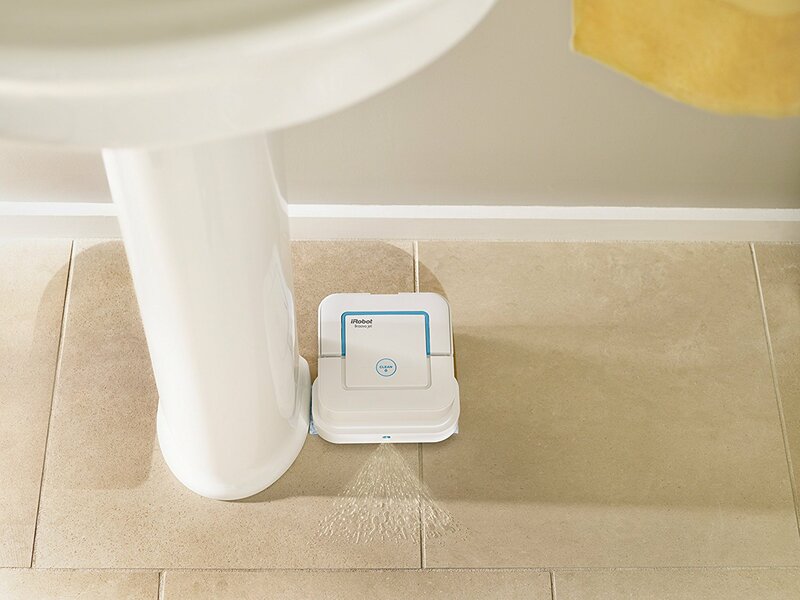 The Braava 380t robot is a mop-only unit that is equipped with a sweeper cloth and a mopping cloth that is attached separately depending on what you want the robot to do. The sweeping feature is for dusting your floors but a lot of people confuse this function with vacuuming, the machine does not have a dirt container and is not a robot vacuum. The Braava does an excellent job at the tasks it’s intended to do. If you’re after a robot that excels at sweeping and mopping then read on. 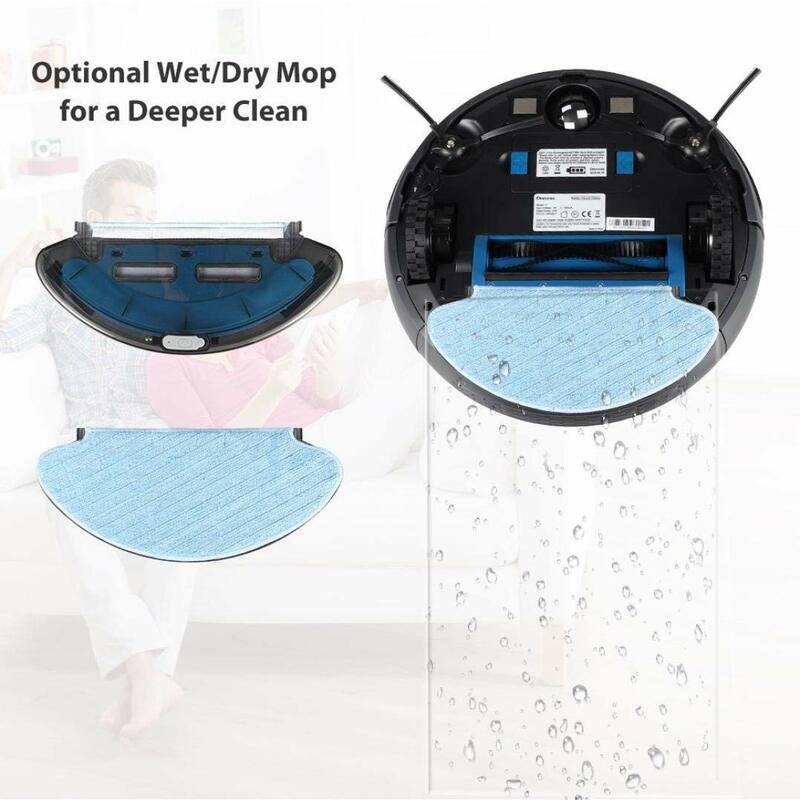 The mopping pad is cleverly designed with a reservoir that runs along both the sides of the pad. There is a bit of fabric, in the middle of the pad, that catches water from the reservoir and delivers it to the mopping cloth to keep it wet throughout the cleaning session. This is the smartest mopping system that I’ve come across which is why the Braava 380t deserves the top spot for the best robot mop. The robot’s navigation system maps out the room’s layout and works out an optimum route with the help of the provided floor cube. Make sure you place the cube in the room that needs mopping and put it somewhere with an uninterrupted view of the ceiling. The Braava 380t will connect to the cube’s navigation system where it will plot the room’s layout and get route guidance. 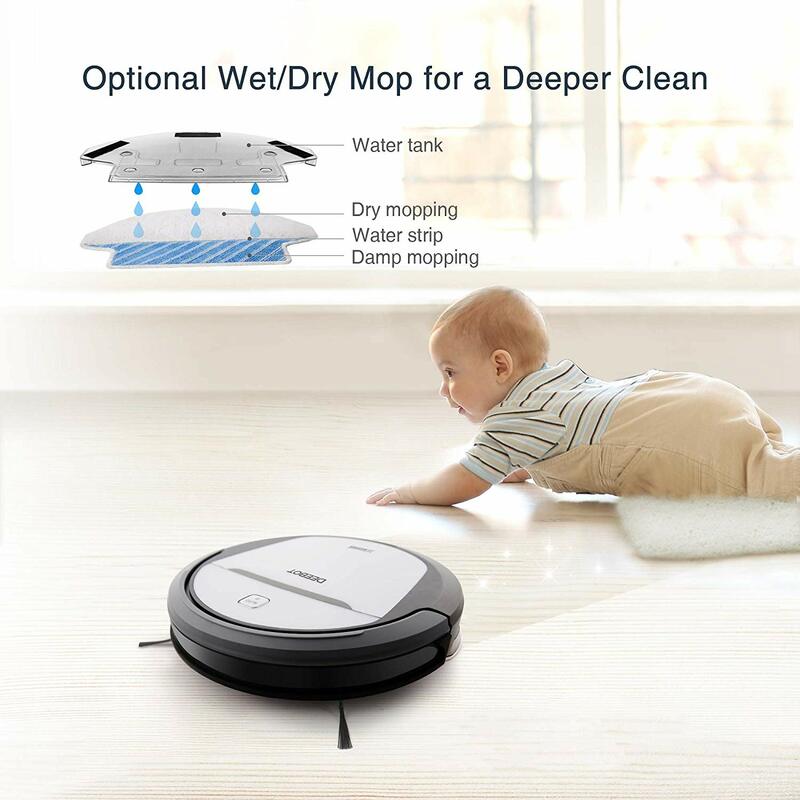 The Braava robot mop is easy to use and works well without needing much management (trust me, a lot can go wrong if you choose the wrong robot mop). The machine operates very quietly and you can easily forget that it’s in the same room. The robot can get underneath furniture, bed frames and my freestanding bathtub. The robot takes it’s time to mop, it’s a slow machine but this shouldn’t really be a problem because it doesn’t need you to wait around for it. The biggest advantage here is that you are saving time and effort. 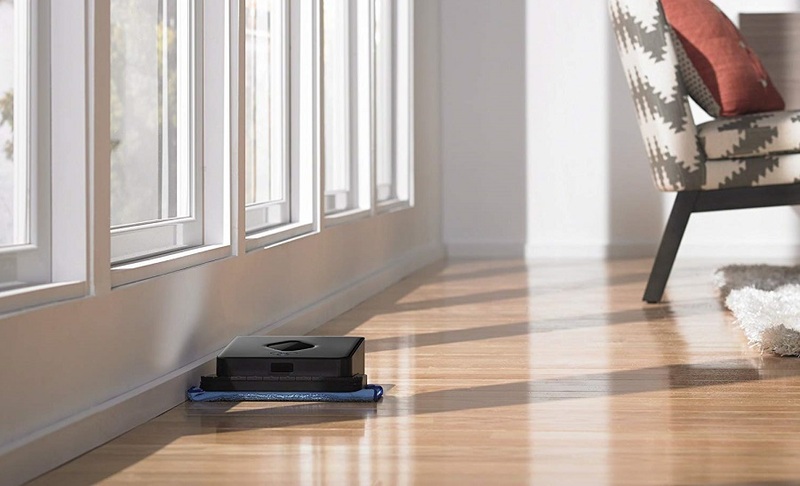 The Braava robot can sweep up to 1,000 square feet or mop 350 square feet in one cleaning session. Clever route guidance is made possible using the navigation cube that instructs the robot where to go and also makes it aware of areas it’s already cleaned. The battery life is impressive. 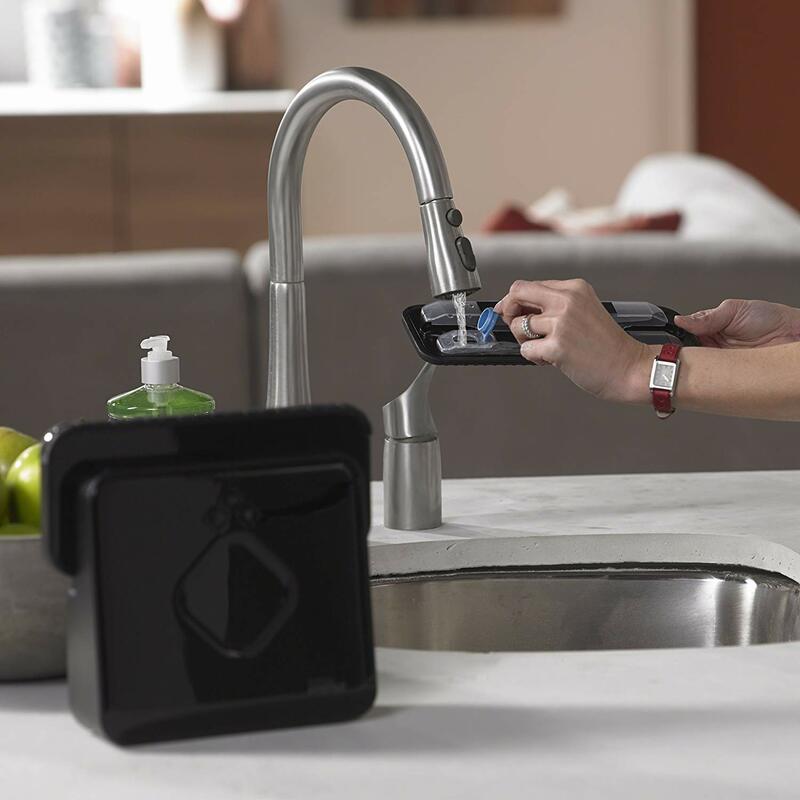 Braava 380t sweeps for up to 3.5 hours or mops for up to 2.5 hours on one charge. You can get additional navigation cubes to increase the robot’s range and enable it to clean several rooms at a time. Easy to use controls. Simply attach the relevant cloth and choose the MOP or SWEEP feature and off the robot goes. The reusable Pro-Clean cloth wipes up dirt and muck with water and a cleaning solution. The robot can use various cloths and pads including non-branded clothes that cost a bit less. You can use it with compatible disposable cloths e.g. Swiffer pads or reusable microfiber cloths. Next up is another Braava machine (yes, they are that good). The Braava jet 240 combines an autonomous swiffer with a wet jet in one machine. The vibrating cleaning head helps to remove stubborn dirt such as dried up coffee stains and food. This robot mop outshines at sweeping up pet hairs. My dog sheds a lot of hair and I’m always on the hunt for a domestic cleaner that can get rid of hairs easily. If you’ve already got a robot vacuum the Braava jet 240 is the perfect companion to work alongside your robot and tag team dirt cleaning. The jet spray is particularly effective at tackling difficult dirt such us muddy paws. If you’re too busy to mop your floors this little robot is perfect for the task. The jet 240 is a low-cost robot that can be purchased for less than $170. If this is your first ever robot cleaner then you’re in for a treat. 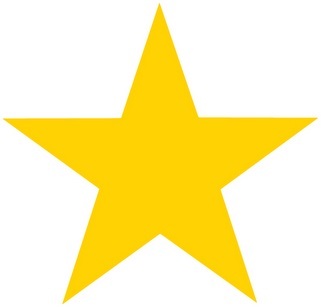 I’m confident that you’ll be thoroughly impressed by the results. 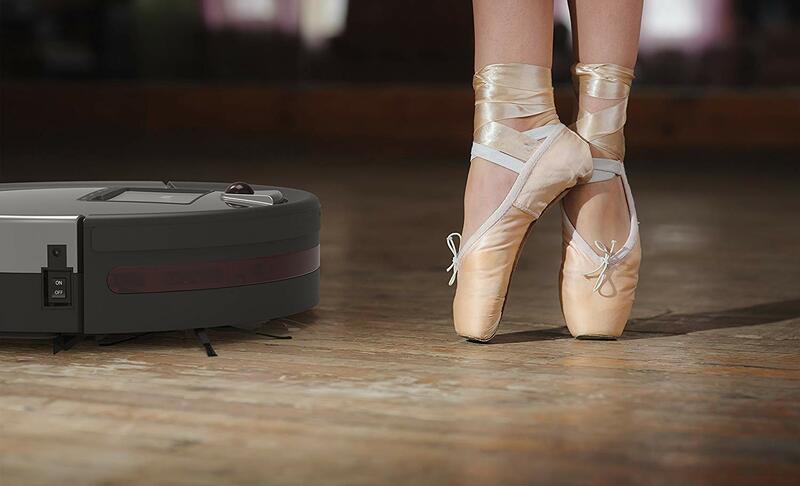 iRobot manufactures reliable domestic robot cleaners. I’ve used various models including the Roomba series and have never experienced any major issues with their robots as long as they are maintained at the recommended intervals then you should enjoy years of service. The jet 240 doesn’t claim to deliver miracles i.e. wiping dried up glue from the floor but it does exactly as stated on the packaging. It will dry mop in 1 pass, damp in 2 passes and full-on mopping in 3 passes. It cleans at a very low noise level when dry mopping but can be heard when wet mopping due to the vibrating cleaning head. The battery life is phenomenal. The machine will last more than 6 hours on a dry clean, 3-4 hours on a damp mop and over 2 hours for wet mopping. This gives the robot an adequate time to clean medium to large sized rooms. In the box, you are supplied with 2 orange damp pads, 2 blue wet mops and 2 white dry pads. You can pick up spare mop pads which come in a pack of 10 for less than $8. The orange damp pads run out the quickest so it’s a good idea to stock up on those first. The Braava jet 240 cleans multiple hard surface types such as laminate, wooden floors, tiles and stone floors. This portable cleaner can reach areas that you could easily overlook such as around toilets and underneath cabinets. It automatically chooses the exact cleaning mode for the mop that’s attached to the unit. Overall, the Braava Jet 240 is a consistent cleaner with a reliable performance. It ranks extremely high and is the second most powerful robot mop on our list. The water tank is easily accessible and can be filled up in a matter of seconds. The pads are also easily swappable to minimise the time it takes to set up this guy for a clean. Whilst our top 2 robots are mop-only robots I’ve also included a selection of multi-functional robots that vacuum and mop). Our highest ranking multi-function robot is the bObsweep Pet Hair Plus. This unit takes all the good things from its previous versions and throws in mopping functionality. If you’re a pet owner that is sick and tired of never-ending pet hair then I’d highly recommend looking into getting a bObsweep robot. It will pick up all of that unwanted hair then mop your hard flooring to provide a complete clean. I’ve got a friend that owns 5 huskies. You can imagine the amount of hair that she must have to deal with. I suggested the bObsweep Pet Hair Plus and she’s been thanking me ever since. 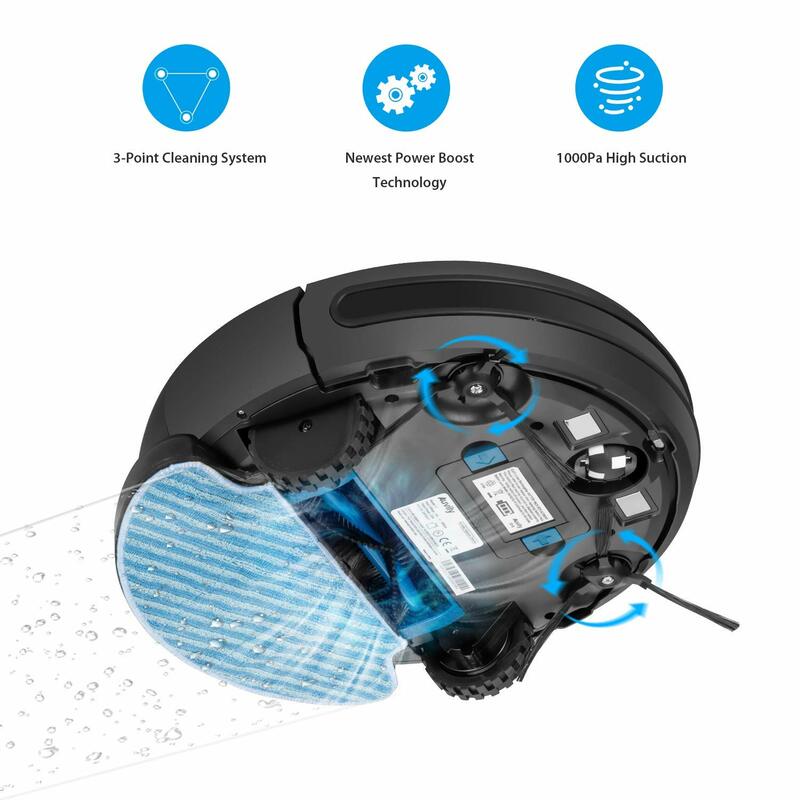 This bObsweep cleaner does all the things you’d expect from a robot vacuum i.e. 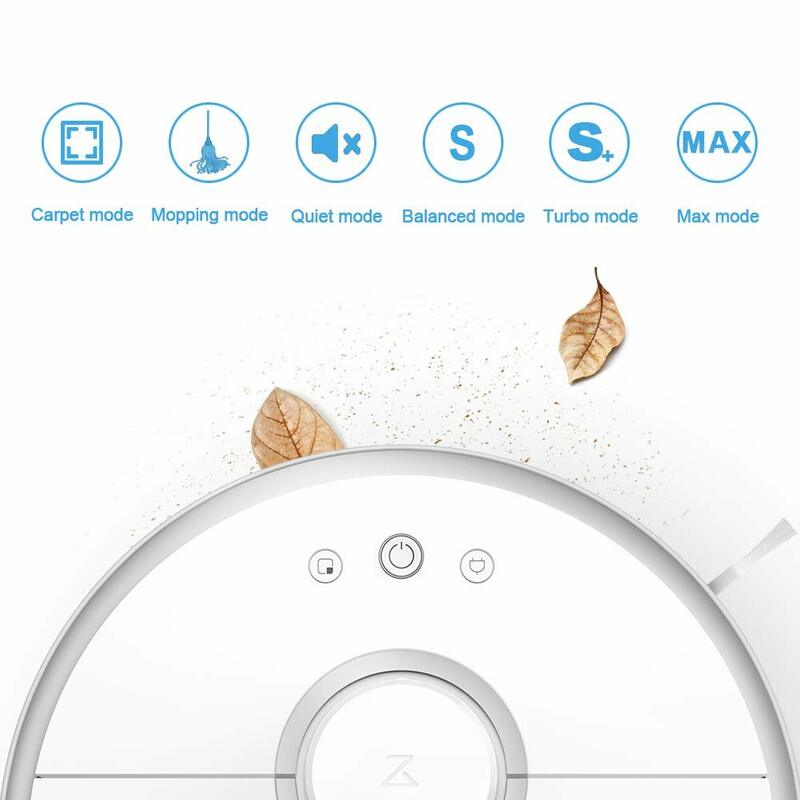 schedule cleaning times using the bObsweep app, smart navigation, a turbo boost function to lift pet hair, it sweeps dirt with its brushes and sterilises the floor with the UV light. Bob is a powerful robot but what about his mopping feature? The unit is supplied with 2 reusable mops that can be attached to the base of the machine. The robot can wet mop but the feature is not as advanced as our top 2 mop-only robots. The bObsweep Pet Hair Plus can also be used as an automatic Swiffer for dry mopping. 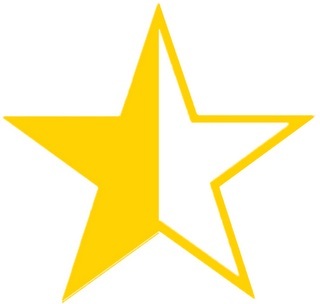 The most impressive thing about the bObsweeping brand is their high level of customer service. If you encounter any issues with your robot just call them up or send an email and the team will quickly assist until you are 100% satisfied. BObsweep is a truly multi-functional cleaner. He sweeps, vacuums, cleans the air with HEPA filtration, mops and sterilises with the built-in UV light. The suction power can automatically turbo boost by up to 4 times to give this robot one of strongest suction on the market. It houses a large 1-litre dirt bin for less frequent emptying. The robot will automatically return to the docking station when it detects a low battery. You can create up to 2 virtual walls to stop the robot from venturing into rooms that it shouldn’t. 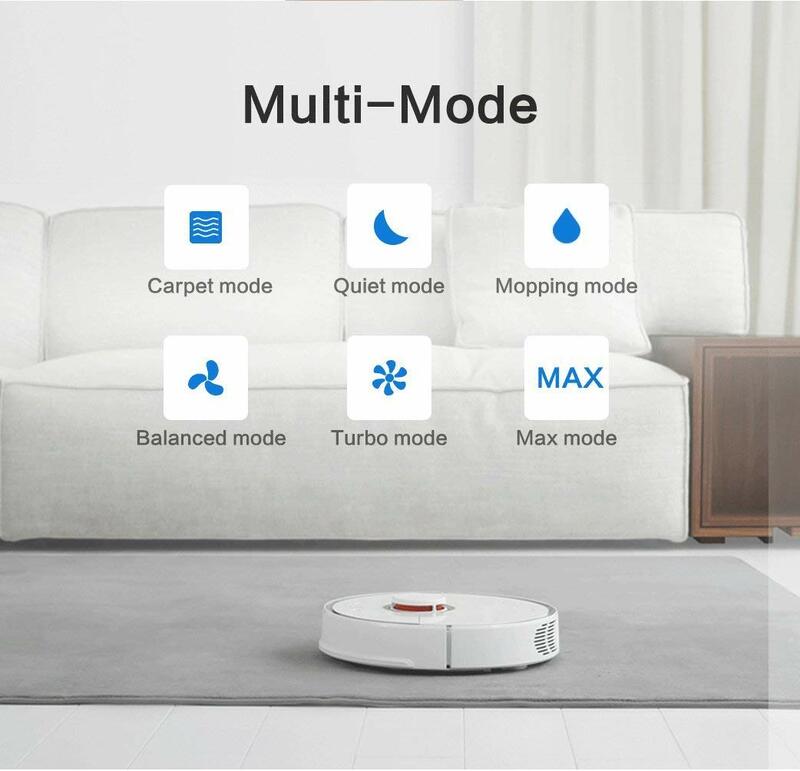 The next robot on our list is the Roborock S5 Xiaomi multi-function robot. 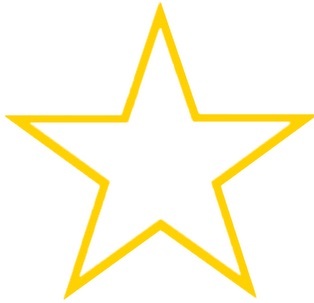 This unit provides an exceptional standard of cleaning. It effortlessly works between rooms, automatically recharges the battery and continues where it left off until the cleaning is done. The strong suction delivers 2000Pa of power to deep clean carpets and rugs. 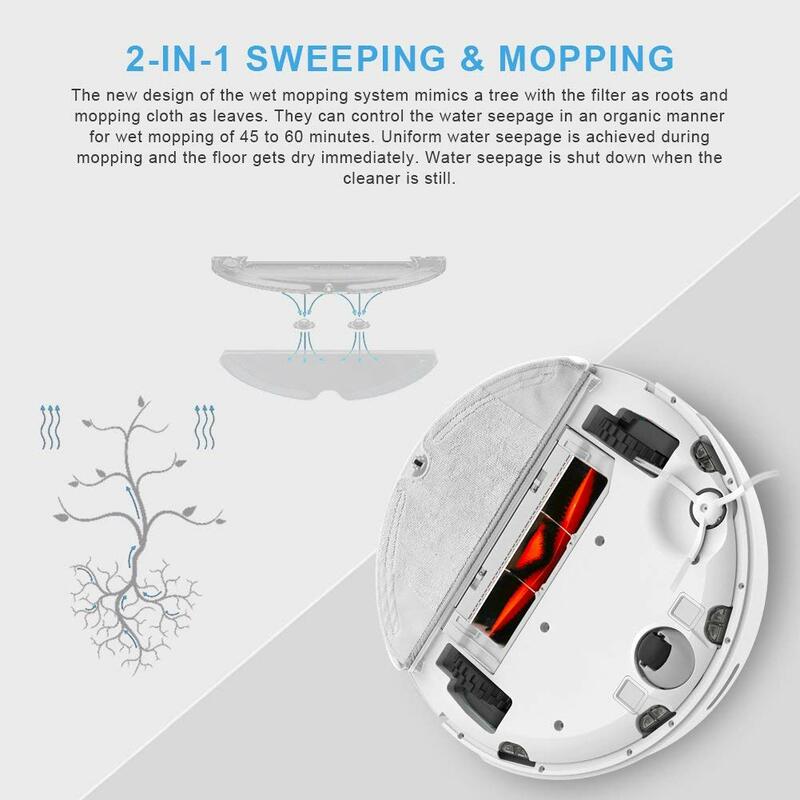 The mop feature is powered by a botanical biomimetic mopping system that helps with wet mopping. The robot can be programmed to clean at a time that is convenient for your schedule. Use the Mi Home app to check on the robot’s progress and monitor its status. 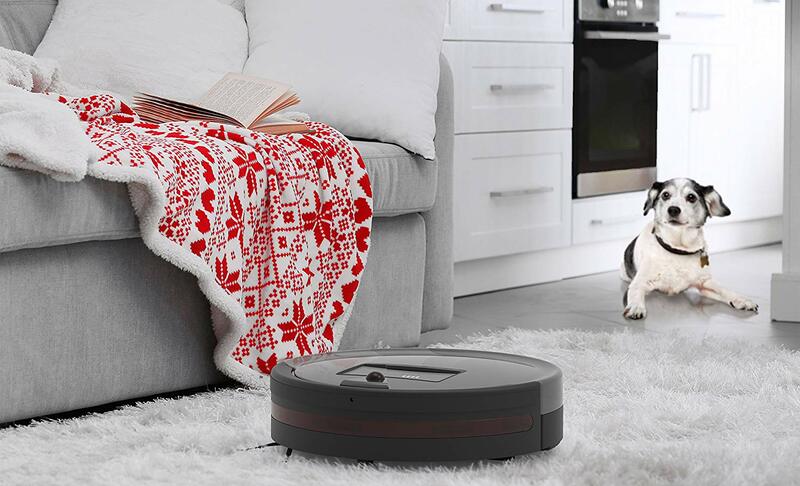 The Roborock S5 Xiaomi is ideal for homes with pets thanks to 2000Pa of powerful suction. The side brushes operate at variable speeds spinning at 330RPM to brush the dirt away from floor edges. When the robot is sweeping in a straight line the side brushes reduce the spinning speed to 130RPM to avoid throwing dirt all over the place. When it’s time to mop you can utilize the 140 ml capacity water tank that can be filled up with enough water to support 45-60 minutes of continuous mopping. 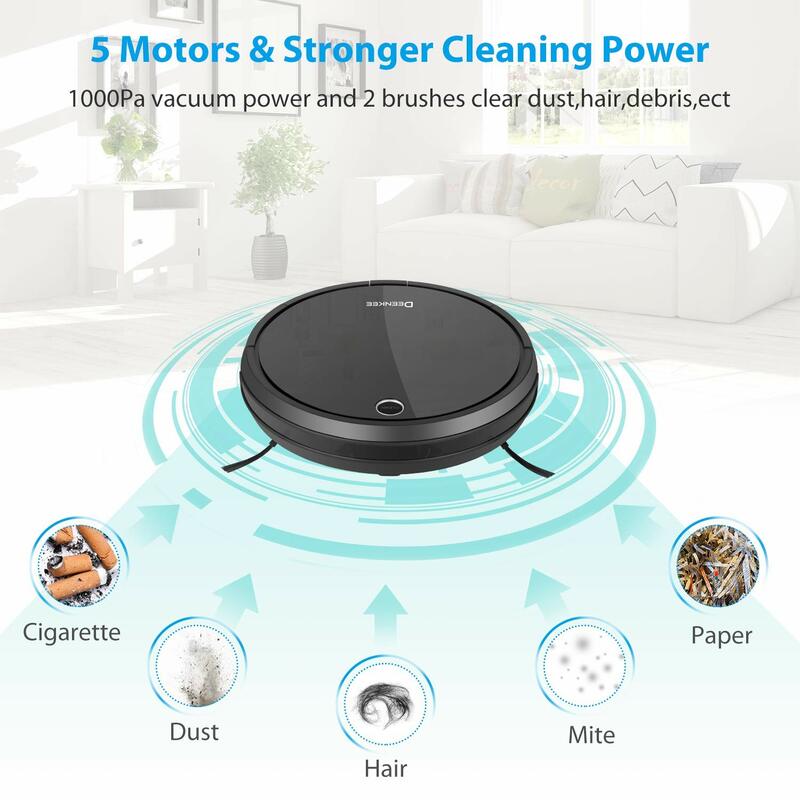 Most customers have reported that the Roborock S5 Xiaomi vacuums better than high-end robots such as the Neato and Roomba plus you get the benefit of a comprehensive mopping system. The mopping cloth and water reservoir work better with a cleaning solution added to the water. An intelligent design which takes advantage of a sweeping system that is intended to optimize wind utilization. The system ensures that nothing is left behind. The mopping system thoroughly cleans hard floors whilst preventing water stains and streaks. Roborock can be controlled using one of the best apps I’ve tested on a robot. The Mi Home App allows you to schedule cleaning times, save maps of the room layouts, create virtual barriers and monitor the robot’s status. The app is available on Android and IOS devices plus you can voice control the robot using Alexa devices. The battery gives a remarkable running time of 2.5 hours and is suitable for cleaning multiple rooms and large homes. 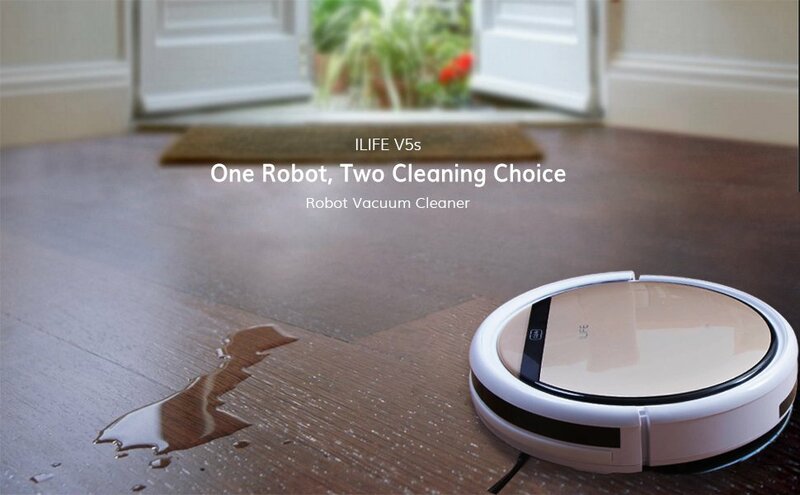 The iLife V5s robot is one of my favourite versatile devices for vacuuming and mopping. It is equipped with a swappable water tank to wet mop hard floors. This robot provides all the comforts of an advanced robot cleaner but takes things a step further with the mopping functionality. The V5s cleaner uses innovative i-dropping technology to improve mopping efficiency and consistency across all of your hard floors. The bigger wheels improve stability, help the robot to travel on uneven surfaces and assist it out of a jam if it gets stuck. The battery has been upgraded to prolong the robot’s running time to 2.3 hours. iLife cleans very quietly. He won’t interrupt you whilst you’re on calls or watching your favourite t.v. show if he happens to be cleaning in the same room. He doesn’t scare the dogs or wake up the kids if he’s cleaning whilst they’re asleep. He can clean for up to 140 minutes on a single charge. The robot is brilliant at lifting up small particles but struggles with larger items. If the robot doesn’t like what it has sucked up it spits it out. The robot has a dry vacuuming sweeping mode to perform an initial clean before mopping commences. The smart sensors on the iLife V5s guide the robot between obstacles and helps it to avoid knocking into walls. The robot will quickly slow down as it approaches a large object and change direction. Cliff sensors are fitted as standard to ensure that your precious robot won’t fall down a flight of stairs. If you need a robot that can clean on a daily basis then it might be time you got your hands on this versatile machine. 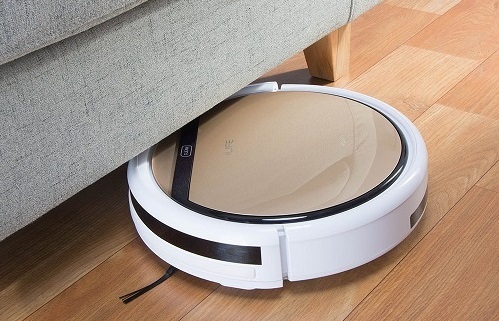 This portable robot is a cost-effective solution for vacuuming and mopping. It’s easy to control the unit to switch between different cleaning modes and there’s the choice of dry or wet mopping. You can buy the iLife V5s for less than $250. 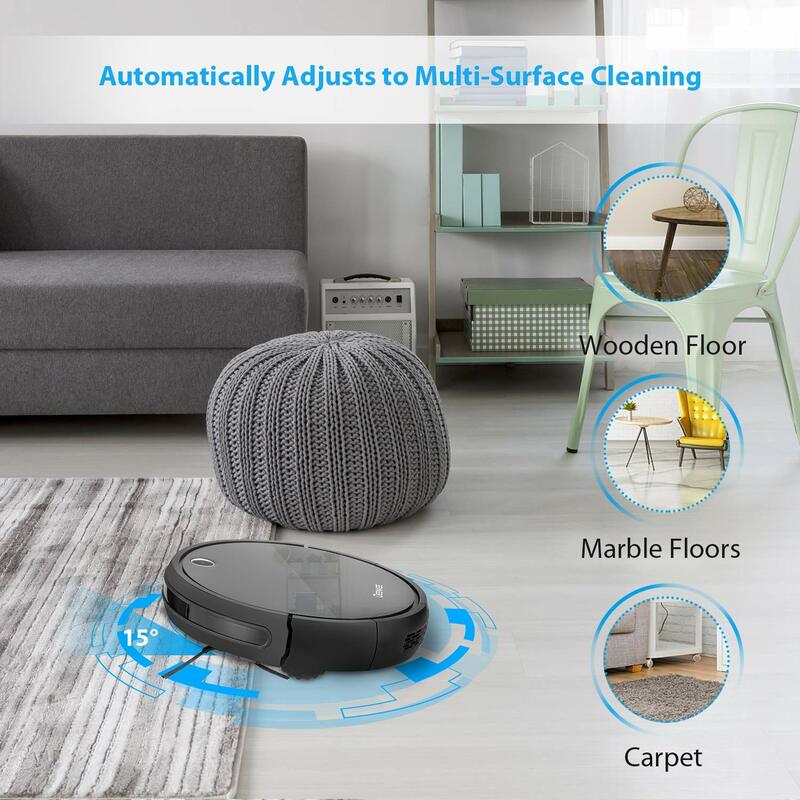 The Deenkee cleaner is an all-purpose robot vacuum with a mopping feature that uses a separate water tank to keep your hard floors looking shiny. There’s plenty on offer here. As a robot vacuum, Deenkee is fitted with spinning brushes on each side of the unit and a primary rotating brush on the main unit. It cleans thoroughly and efficiently. This robot is built from high-quality materials and is a highly functional little cleaner. Deenkee deep cleans hard floors and carpets in medium to large homes but is small enough for apartments with limited storage space. He picks up a surprising amount of dirt everytime he goes off to clean. The robot is lightweight and operates almost silently so that it doesn’t interrupt you. I was surprised that the manufacturer didn’t really promote the mop function on the Deenkee. I wasn’t too sure whether it could actually mop but my worries were alleviated when I spotted the water tank in the packaging. Setting up the machine to mop is quite straightforward, simply fill up the water tank, attach the mop pads and press clean. There’s a remote to instruct the robot and give it precise instructions, whether it’s vacuuming or mopping. You can program Deenkee to clean the house whilst you’re at work so that you get home to fresh looking floors. The robot automatically returns to its docking station whenever it needs recharging. Deenkee is very efficient. He is designed with spinning side brushes and a long primary brush to carry out its robot vacuum duties. It catches dust, dirt and pet hairs from floors with its strong suction. Wet mopping is on par with costlier robot mops and the machine is supplied with a standalone water tank specifically for the mopping feature. Deenkee’s slim profile is perfect for the robot to navigate underneath furniture, couches and beds. The robot vacuums consistently on hard floors and carpets. The machine is equipped with a dozen sensors to guide the robot between rooms whilst avoiding obstacles. The sensors also help Deenkee to automatically select the best cleaning mode for the task at hand and specific floor type. You get a lot for your money with this robot. 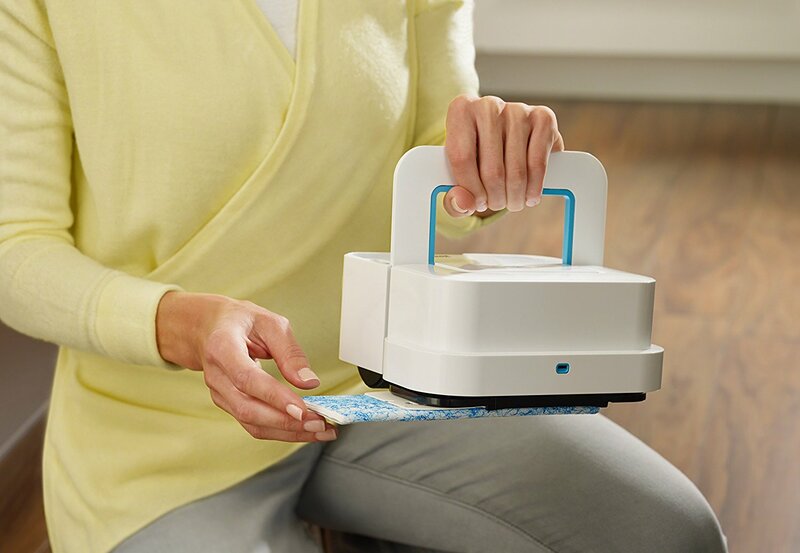 In addition to mopping and vacuuming, you can schedule convenient cleaning times, Deenkee cleans corners and edges brilliantly, The battery running time is 100 minutes and the machine automatically charges when it’s low on battery. The final robot mop on our list is the Ecovacs Deebot M80 multi-function cleaner. 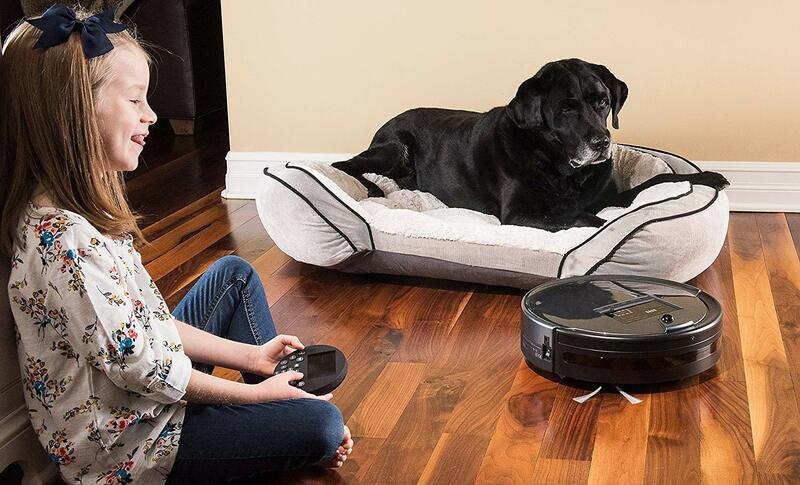 This robot thrives in busy households especially if you’re a pet owner. It picks up dirt, hair and dust without a fuss. 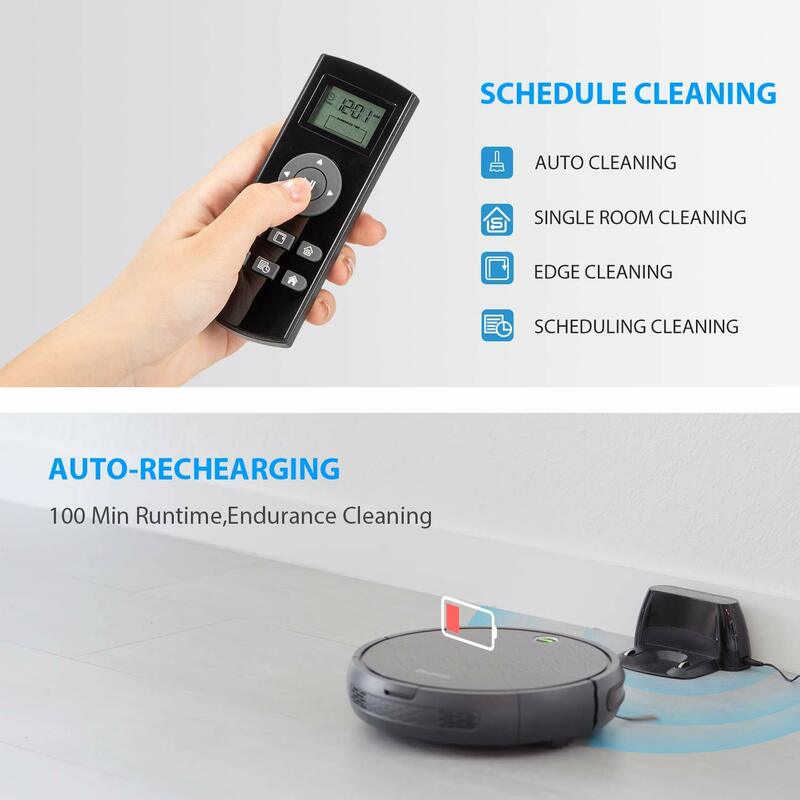 If you’re too busy to make time for floor cleaning then you’ll be impressed with the amount of time this little robot will save you. Ecovacs Deebot robots are amongst the best on the market for their sheer cleaning power and durability. Now you can combine a robot vacuum with a robot mop together in one machine. The M80 scores high marks for its adaptability with handling multiple surfaces especially carpets…even thick carpets. The Ecovacs M80 is an innovative robot with a 5 stage cleaning system for deep cleaning. You can also take advantage of the popular Ecovacs app to control and communicate with the robot. 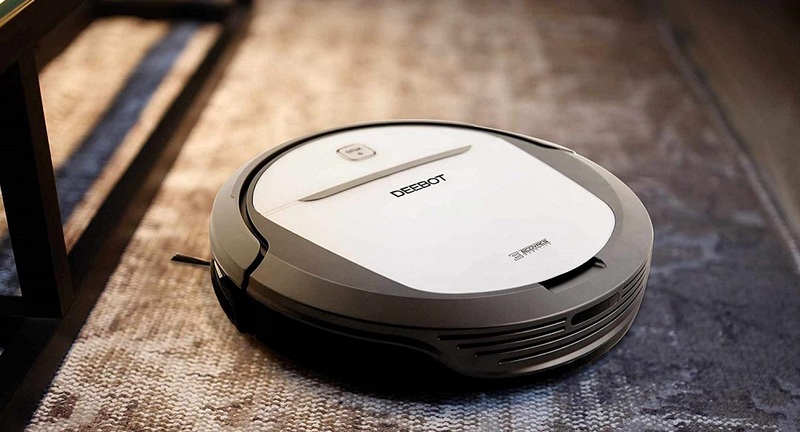 The Deebot M80 is proficient at mopping hard floors. It comes with a dedicated water tank and can be used to either dry mop or wet mop with the supplied pads. There are more ways to connect with the M80 in addition to the remote control. Use the ECOVACS app to setup convenient cleaning times, receive notifications, choose a cleaning mode and monitor the robot’s status. Use Alexa devices to voice control the robot. Smart route guidance is what the Deebot does best. It’s armed with proximity and cliff sensors to keep it on the straight and narrow. You will find a large 500ml capacity dirt bin to catch more dirt and increase the intervals between bin emptying. The robot is fitted with a high-quality air filtration system to trap dust and allergens. The 5 stage cleaning system can also increase suction power by almost 40% to lift stubborn dirt and hair. The M80 is a complete robot with a Dry and Wet mopping function supplied with a separate water tank and mopping pads. Overall, the Deebot M80 is a powerful robot cleaner that can adapt to most cleaning situations. The mopping feature works a lot better than expected and the vacuum performance is strong enough to pick up pet hairs with ease. The robot cleans quietly and has a long battery life of 110 minutes. You can get the M80 robot at a very affordable price for less than $230. Extra accessories and parts are cheap and easy to replace. Sadly, our time is up. 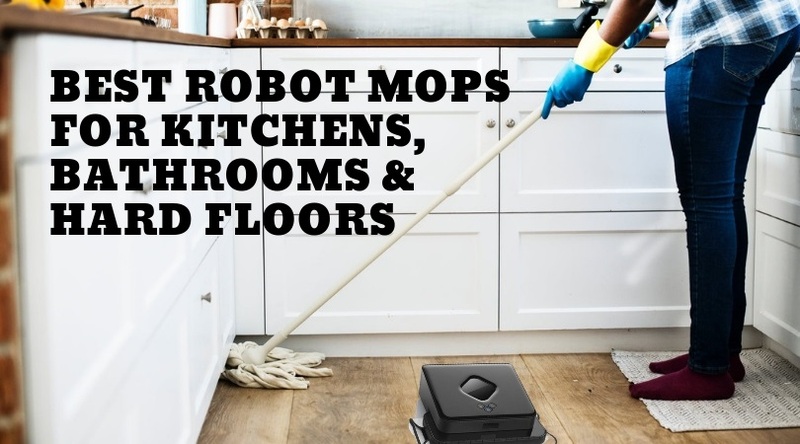 That concludes our list of the best robot mop for kitchens, bathrooms and hard floors in 2019. There’s a great choice of robots to fit in with your lifestyle and cleaning requirements, whether you decide to buy a mop-only or multi-function robot. Before I leave you, here are a few tips to remember to ensure that you get the most out of your robot. For the best results make sure that your floors are vacuumed prior to robot mopping. Keep floors clear and free from obstacles such as electric cables, large objects, kids toys and so on. Maintain your robot occasionally ensuring that the sensors are clean. For multi-function robots, clean the brushes and filters frequently. Protect valuable items just in case the robot accidently bumps into furniture and knocks something over. You can either set up a virtual barrier or move valuable items out of the way. Are you considering buying one of the robot mops from our list or do you already own one? Please leave your comments in the section below. I’d love to hear from you.